What works best – investing in sectors or countries? A diversified portfolio across regions and sectors can offer healthy returns at a lower risk, partly because the negative performance of some constituents can be offset by the positive contribution of the best performers. One way in which investors generally try to outperform financial markets is by investing higher portions of their invest­able funds in countries whose economies are ex­pected to outpace the average glo­bal growth while reducing ex­posures in countries that are expected to face weaker economic cycles. While this is a very pragmatic approach, it is worth noting that identifying and investing in the right sector can also generate a strong investment return compared to country selection. As different countries and re­gions are exposed to different economic conditions, open markets and globalisation allow companies in the same sector to gene­rally be impacted by the same dynamics, irrespective of the company’s own country of domicile. There are many determinants of stock performance that ultimately drive a sector to fare better compared to its peers. As a matter of fact, a change in the price of oil and fuels generally affects airlines across the globe, while a lower level of interest rates has an impact on banks across various countries. It is interesting to observe that, since the start of the year, corporate earnings and the eventful trade war disputes contributed to choppier markets over this year. US President Donald Trump’s plan to put investment restrictions on China was the main factor weighing on the performance of most sectors, particularly in vehicle and semiconductor/equip­ment names. In this scenario, sectorial allocations have provided in­vestors with greater benefits over geographic diversification strategies as developed country returns were more correlated. Sectors like technology and non-essential consumer goods and services contributed to signifi­cantly better performance on a year-to-date basis, with returns of 16.70 per cent and 15.60 per cent respectively. This compares very well with a positive return close to seven per cent on the S&P 500 during the same period. On the contrary, underweighting sectors such as telecoms and consumer staples would have benefited investment portfolios as these sectors generated negative returns of 4.3 per cent and 6.5 per cent respectively. This implies that selecting the right sectors and avoiding the worst performers would have yielded a return of 23.2 per cent in US dollar terms. Sector returns are also dependent on where we stand in the economic cycle. Some sectors such as industrials and financials tend to yield better returns early in the economic cycle when economic growth is accelerating, while other defensive sectors like staples and utilities tend to perform better when economic progression is weaker, with flat or negative returns registered year-to-date. 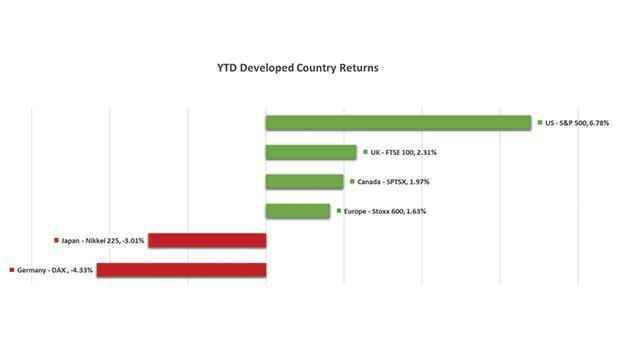 The relative difference in performance is less manifested in the country returns where various stock markets in developed eco­nomies have moved in tandem, providing for little returns gap when analysed and compared in their respective currencies. While accurate country selection would have still yielded strong returns, the sectorial benefits have been somewhat diluted at country level. Indeed, the return gap between the best and the worst performing country index during 2018 was closer to 11 per cent. 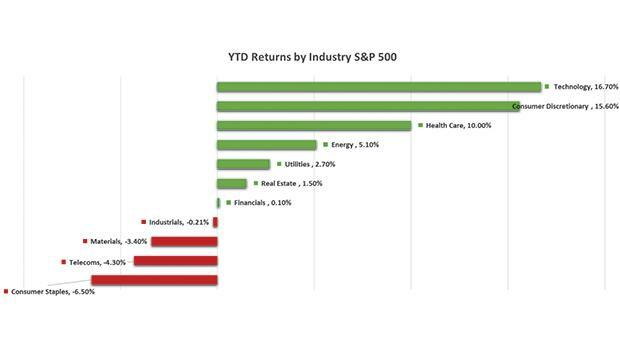 The emphasis on industry sectors does not necessarily mean lower volatility for investors. However, as global markets become more integrated, key sectors’ characteristics will have more bearing on share performance, other than where that share is merely listed. 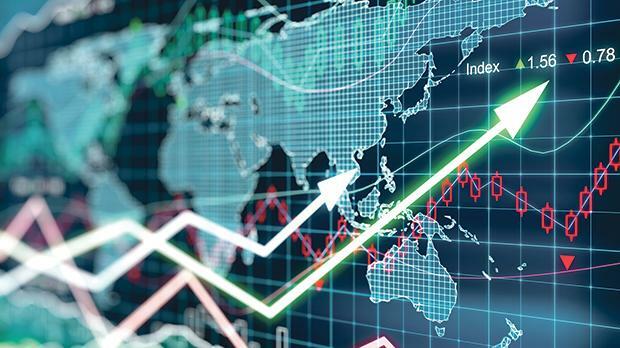 As deve­loped stock markets in the world remain correlated, diversification and optimal returns are more likely to be achieved if evolving changes in sectors keep their pace. Allocating by sectors has proven to offer better correlation benefits as these groups were less dependent on one another over the year. Loredana Vella is an investment analyst at BOV Asset Management. BOV Asset Management Ltd is licensed to conduct investment ser­vices business by the Malta Financial Services Authority. This article has been issued by BOV Asset Management Ltd, 58, Zachary Street, Valletta. Tel. 2122 7311, Fax 2275 5661, e-mail infoassetmanagement@bov.com.